My school day ends promptly at 2:33 Monday through Friday. That leaves my classmates and I, along with all other school-age youth, with over eight hours to spend the rest of our day. This after school time for children across America has thus been coined as “what happens after 3pm.” Those hours are filled with homework, meals, and relaxation, but also, perhaps just as important, extracurricular activities. Ranging from sports to music lessons to student government to simply a safe place to do homework, activities keep kids motivated and engaged out of school hours, therefore keeping them out of trouble, exposing them to new interests, and providing working parents with a secure environment for their children to be in until they can pick them up. Evidently, the way out-of-school time is utilized is important for students, parents, and the entire community. On Tuesday, April 12, APOST (Allegheny Partners for Out of School Time) held a rally at the Pennsylvania state capitol to petition for state representatives to consider signing a bill, if available, to streamline existing funding methods to increase access and quality of after school programs. Students, parents, and program leaders, as well as youth media reporters and the youth express team, including myself, boarded buses bound for Harrisburg at 5:45 am to raise awareness for our cause. Once arrived, there was a contagious buzz of progressive chants and a twitter of advocacy at the capitol building. Senators and representatives hurried off to meetings, awe-eyed families toured the elaborate edifice, and other groups advocating for their cause attempted to catch others’ attention. APOST advocates, ranging from all parts of the state, split into groups to speak to individual representatives to gain support and offer testimony to the benefits of after school programs. Our first stop was to Representative Edward “Ed” Gainey, whose district includes East End neighborhoods in Pittsburgh, including Stanton Heights, East Liberty, and Homewood. Representative Gainey greeted the group with a merry smile and a hospitable attitude. He immediately expressed his interest in the cause, given that he understood first hand how beneficial these programs are, having grown up in Homewood. He cited these programs as an “open door,” especially in inner-city environments. He seemed to give an impromptu, yet empowering speech, about how he has witnessed programs like these turning children into men and women, not merely adults, who have adequately matured, rather than live standstill in their era of youth. Gainey also cited community development, rather than gentrification, as a resource to better a community’s youth, as well as education. He hopes that through these initiatives, neighborhoods like these will embrace a rejuvenated positivity that brings news to the area that isn’t there to only report on the recent murder. Representative Gainey empathized with the personal stories and benefits of their programs that youth from the Grayson community center (“G” center) in the Hill District discussed in the meeting, ranging from the accelerated learning the G center provides, to the dance and music classes that connect them to their African-American heritage, and the emotional outlets they receive from “real rap”, a program that allows them to discuss any problems they may have. Representative Gainey believed their experiences in out-of-school time were “strong,” and would absolutely support a bill, but was concerned about funds. He believes a detailed agenda, as well as meetings with educational and social services could accelerate the process. Later, our group attended a meeting with Senator Vulakovich, an Etna native who is also responsible for an inner-city Pittsburgh district. Senator Vulakovich began with an anecdote on how when he grew up, after school activities included pick-up sports and playing in the parks, but acknowledged that times have changed. He claims that any person in the government will support increasing the prevalence of after school programs, but they may disagree based off the funds that they will require. He added that, “Every nonprofit wants money, but there’s only so much. Sometimes it’s better to give a lot of money to one group rather than spreading it thin to many organizations.” Senator Vulakovich cited programs already in place as excellent options that the state already funds, such as library programs, YMCAs, and Boys and Girls Clubs, as well as programs sponsored by churches or any other organization that promotes community. Like Gainey, Vulakovich would consider signing the bill, but the money would have to be streamlined, he says. “There’s only so much money to go around, you have to spend it wisely,” he continued. “We spend $21,750 per student in the city of Pittsburgh, but are we spending it the right way?” He ended with thanking us for stopping in and letting us know that the conversation promoted him to look into exactly how beneficial out-of-school time is by the means of additional research. The statistics show that there are not enough after-school programs for the high demand they are attracting today. As they provide superior to resume padding, an unspoken dialogue amongst Pennsylvania legislators must happen to ensure that youth of all ages has access to safe and engaging care when their school is not in session. As we sat on the capitol steps to mark our cause and listened to speakers who firsthand had received benefits from these programs, it was clear to me that the importance of these programs are unparalleled and that every child deserves a chance to receive this kind of support, guidance, and enrichment. For more information on out-of-school programs in your area, visit afterschoolallaince.org and sfterschoolpgh.org. Maura Sheedy is a senior at Oakland Catholic High School who lives in Thornburg. 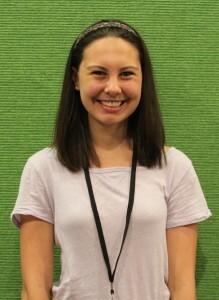 She previously has been a part of Young Writers Institute. She considers random things she has seen on the Internet to be her muse for her writing. She enjoys lacrosse, cheer, dance, and blogging.